SURVEY RESULTS: Where is the industry headed? 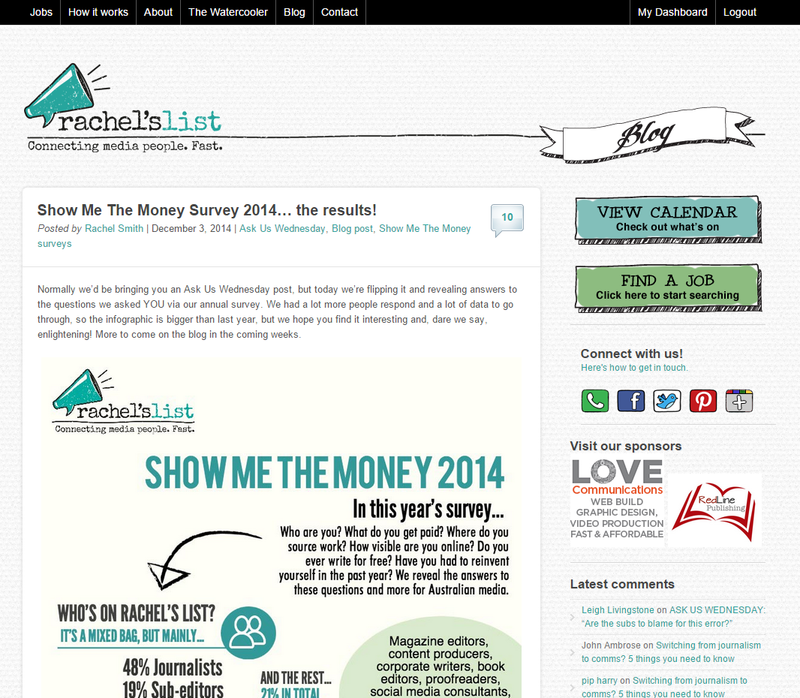 Head on over to Rachel’s List to find the latest analysis from the 2014 Show Me The Money Survey. More than 40 Aussie freelancers filled in the survey – and there’s great insights to be found. – check Rachel’s Blog for more details.